A corporation or a company is defined by the type of culture that it has created and the self-philosophy it likes to associate itself with. Corporate identity design must reflect and adhere to the norms defined by the organization. The corporate website designing needs a careful evaluation of the different factors involved. At Whitehats Design we work with your organization to ensure that the corporate web design created reflects what your organization believes in. Our approach is to help you find the new look and feel by abolishing the old template styled dead or stagnant web designs. This is the reason why we keep on revising our corporate web design standards to always surprise with you what’s new, exciting and trendy. Let us help you bring your corporate best to the world. A good corporate web design helps you get noticed and makes the stay at your website visitors a memorable one. The corporate website designs are developed while keeping your company’s business strategy in context. The increased numbers of internet users around the world have made websites new storefronts. Aesthetics are an important element of corporate website design. The corporate identity reflected through your business website defines the way you portray commercial presence online. New customers or visitors who do not know your company will only know about it via Google. This is why our graphic designers pay special attention to the way your corporate website design look and feel. Our graphic designers have rich work portfolio and diversified graphic designing experience working in the corporate sector for many years. This is why when any corporate website development project comes to Whitehats Design, the company benefits from our vast experience in the field. User journey or experience matters a great deal nowadays. In order to make sure that new website visitors don’t forget about your website easily, our graphic and web designing team adds elements which would make it as unique as possible. Always keep in mind that modern corporate website designs are focusing on interactivity and enhanced conversion ratios, which are only possible when an experienced graphic designer who understands the corporate website design works on your project. The web corporate identities created by Whitehats Design keep the user friendliness element in mind. We want to make sure that the business websites designed by our graphic designers are easy to update without any problems. We can also provide you with a CMS (Content Management System) based corporate website too if that is the requirement by deploying any of the open source software like WordPress, Joomla, or Drupal. Why Whitehats Corporate Web Design? Whitehats Design focuses on corporate web appearance from a customer’s perspective as well as by looking it from a technical viewpoint. The idea is to ensure that you are able to get the kind of corporate feel that you need while still exceeding the website development quality standards. This effort helps us complete corporate web design projects well before time without losing sight of the bigger picture, to give your business the brand identity you originally wished for. Besides the ability to manage all your corporate expectations within a website, we also offer depth and variety in our projects. At Whitehats Design, we understand that every business organization works differently and their web presence requirements would differ significantly. At Whitehats Design we can help you with interactive web forums, polls or surveys, theme oriented business blogs, and member profiles. We are in this business for many years and have created dozens of awe inspiring corporate web design projects. Get in touch with us today to know how we can help you achieve your dream corporate web design project. Smile on A Customer’s Face? The ability to create web projects is not unique to any particular company. You can find hundreds of corporate web design services online. We look to establish long term relationships with our customers. Here is how we would like to differentiate our corporate web design services. At Whitehats Design we strongly believe in fair pricing. We do not believe in overcharging our customers and would only give you the most competitive quotes as per the projects’ requirements. We believe in quality of our corporate web design services at affordable prices. At Whitehats Design our graphic designers remain updated on the latest web design technologies available in the market. 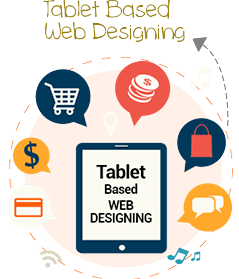 The idea is to provide a website for your business which works well on all devices, artistically crafted and functionally intelligent. Every corporate website design project assigned to us is dealt in complete confidence. All the information that you provide to us is only used in creating your corporate website’s design. The real test of a corporate website design company starts once it has completed its project. The only way for us to build strong relationship with our customers is by offering exceptional after-sales support. This approach helps us gain your trust and let you know how much effort we put in place to satisfy your business requirements. 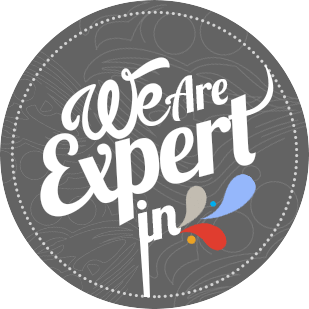 Each one of the graphic designer that we hire at Whitehats Design, has years of professional experience and a highly developed web design portfolio which shows their commitment and seriousness to their craft. We strongly believe that a good graphic designer does not only possess experience but is also concerned about the likes and dislikes of our customers. We have worked with different types of industries and organizations of all sizes. Some of the clients that we served were single owner companies while the others were large government or private sector organizations. 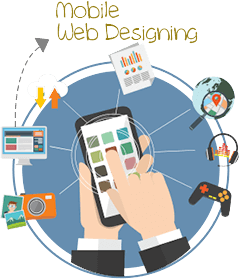 The web design solutions provided by us are extremely flexible to fit your unique organizational needs. Lastly, yet importantly all the websites designed for our corporate customers are created using HTML 5, CSS 3 and other search engine friendly technologies. We understand that no matter how beautiful your website is, it will only be able to attract traffic once it can be SEO optimized.